David Katz discusses how Randa used consumer insight data, social engagement and other market research to develop a new product, Dad Hats. David explains how they gained the confidence to get ahead of the trend and take their investment from zero to 500K units based on predictive consumer insights that are data-driven facts, not opinions. 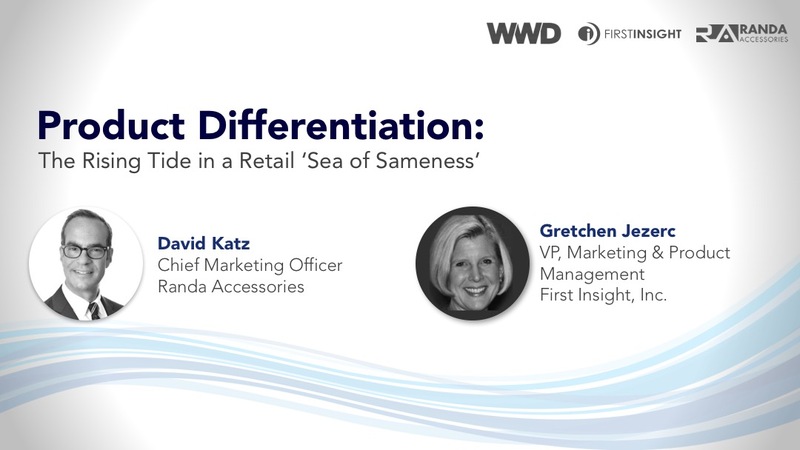 David Katz discusses how Randa uses consumer insight to drive decisions on new product attributes and design, eliminating store testing and significantly cutting time-to-market by over five months. Randa used consumer shopping data inform a drastic redesign of the in-store experience for neckwear. Randa conceptualized, designed and executed the redesign, based on consumer insights, resulting in a >40% lift in revenue, 25% higher AUR, and faster turn.